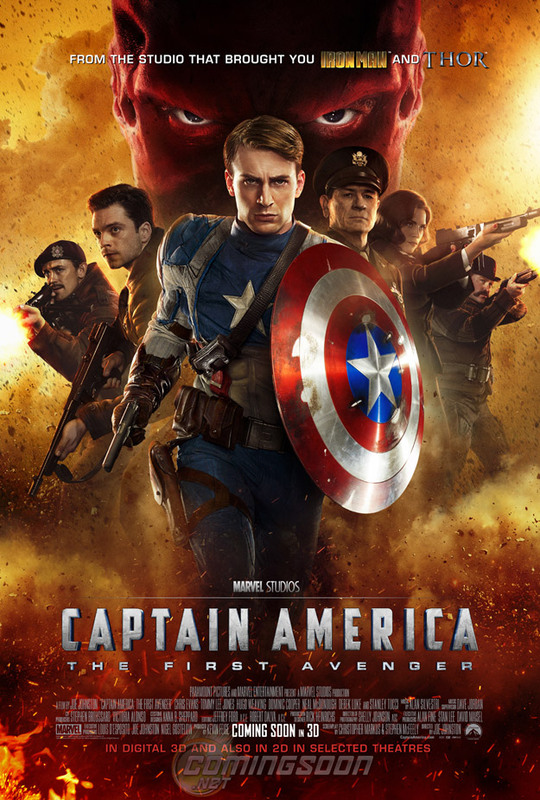 Exclusive: The International Captain America Poster! ComingSoon.net/SuperHeroHype has your exclusive first look at the new international poster for Captain America: The First Avenger! Opening in 3D and 2D North American theaters on July 22, the Joe Johnston-directed action adventure stars Chris Evans, Tommy Lee Jones, Hugo Weaving, Hayley Atwell, Sebastian Stan, Dominic Cooper, Toby Jones, Neal McDonough, Derek Luke and Stanley Tucci. Click on the poster for a bigger version!